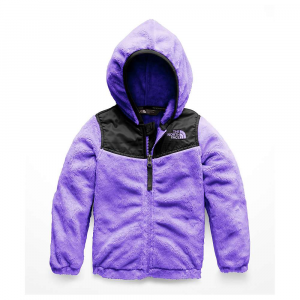 You can count on the Girls Radiant Flux Jacket to handle changing conditions in go-with-the-flow fashion. 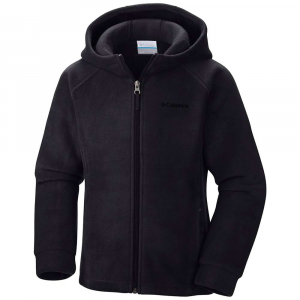 The midlayer jacket is made from 94% polyester/6% spandex fleece that has a velour face and grid backthe grid makes the fabric breathable and reduces bulk. We've reversed the fabric on the side panels for extra flair when carving turns. Raglan seam detail on shoulders wont chafe under a pack. Zip-through, double-layer collar with grid edge provides structure and texture; binding trim at drop-tail hem holds in warmth and thumb-hole cuffs provide more coverage over the hands. 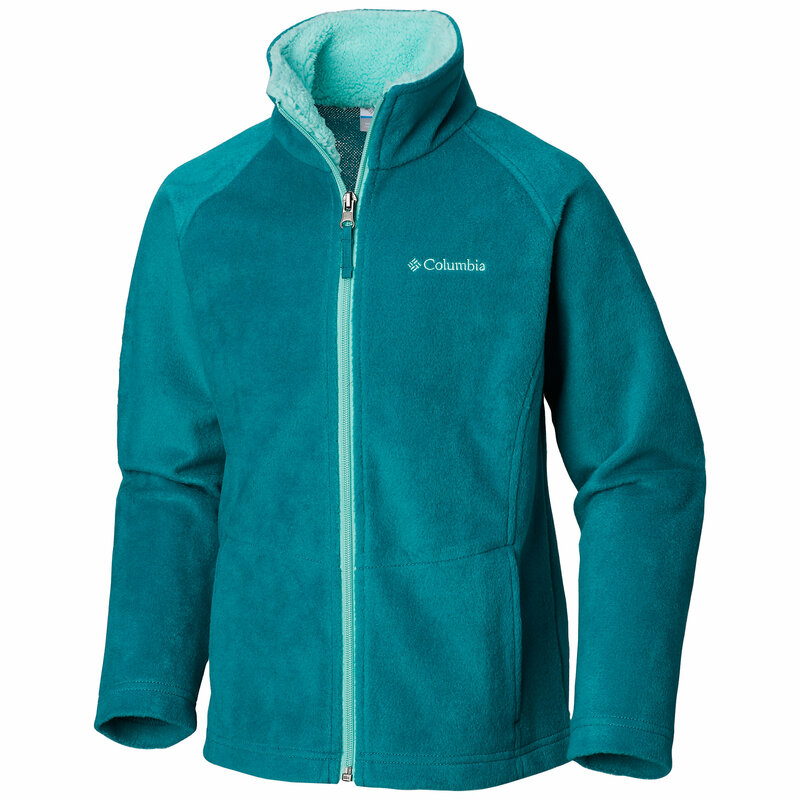 Offering mid-layer warmth in a soft, stretchy polyester/spandex velour with a grid backer, the girls' Patagonia Radiant Flux jacket is a fleece mid layer built for handling fickle weather. 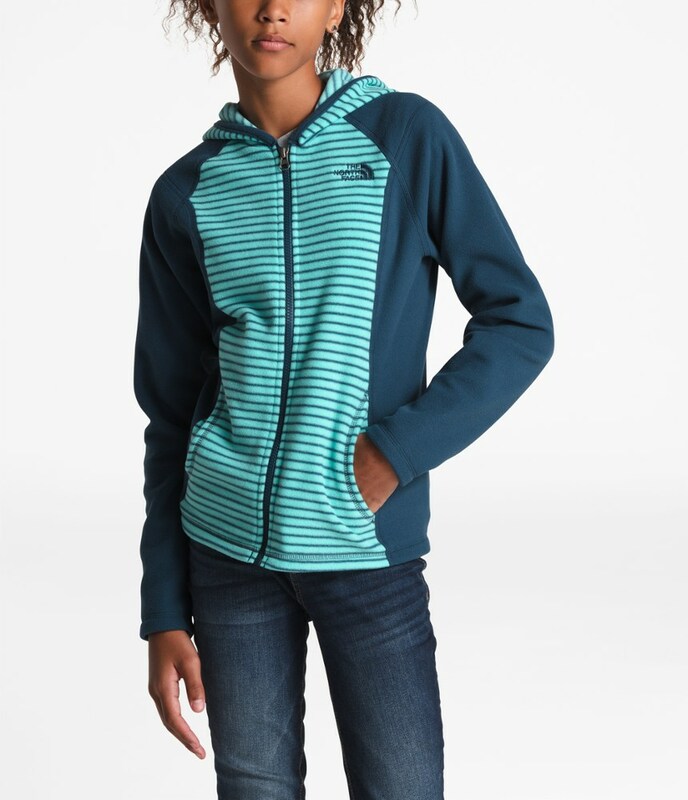 The midlayer Girls' Radiant Flux Jacket handles changing conditions effortlessly thanks to 94% polyester/6% spandex fleece that has a velour face and grid back-the grid makes the warm fabric breathable and reduces bulk. We've reversed the fabric on the side panels for extra flair. Raglan seam detail on shoulders won't chafe under a pack. 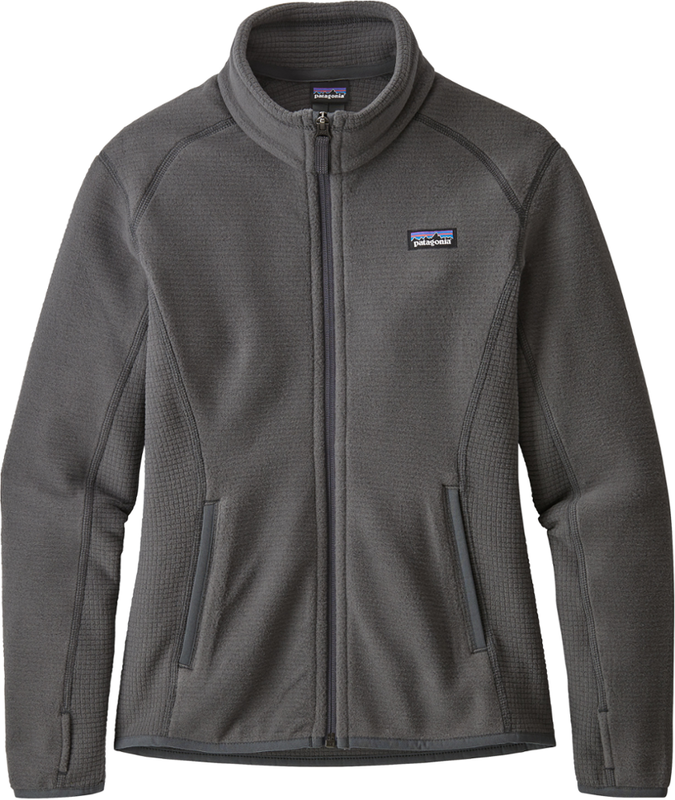 Zip-through, double-layer collar with grid edge provides structure and texture; binding trim at drop-tail hem holds in warmth and thumb-hole cuffs provide more coverage over the hands. Hand-me-down ID label. Fair Trade Certified(TM) sewn. 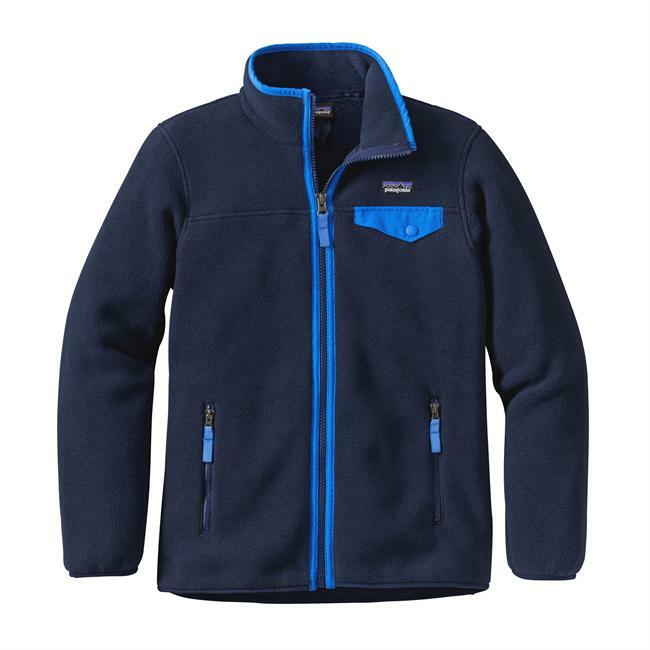 In light of fluctuating styles, circumstances, and conditions, the Patagonia Girls' Radiant Flux Fleece Jacket ensures that you're able to make do--regardless of what the adventure is at hand. 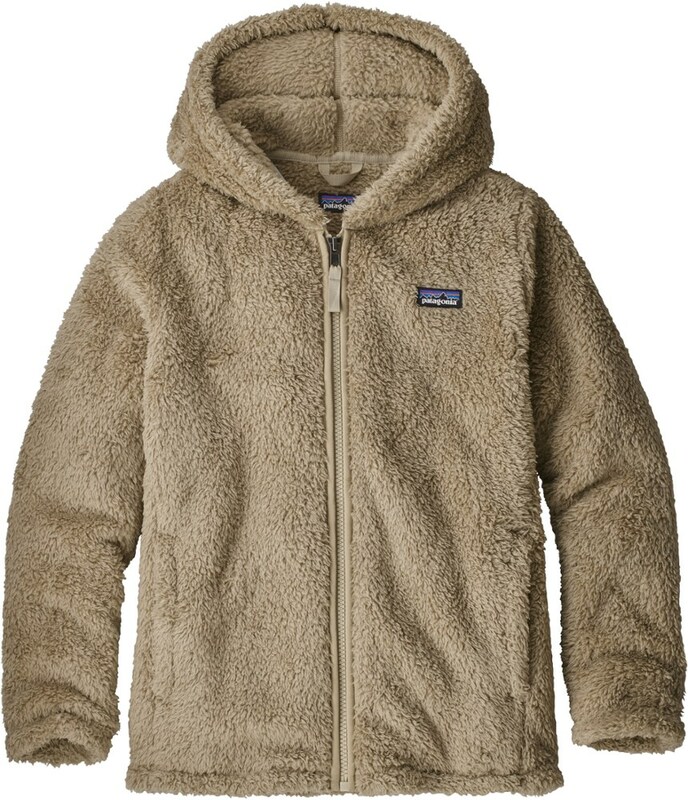 The midweight fleece material features a velour face and grid pattern for equal parts coziness, breathability, and moisture management, in turn making this fleece an ideal companion for hiking or just hanging out. Additionally, the raglan sleeves provide full mobility and prevent any chafing that might occur when wearing the Radiant with a backpack. A double-layered collar defends you from crispy winds, while the drop-tail hem enhances coverage.